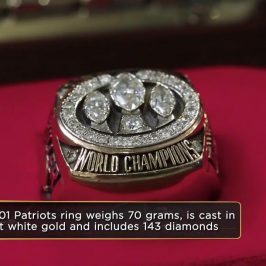 A&E’s Pawn Stars is one of the greats of reality television and it’s celebrating its 500th episode. No mean feat in a world where so many reality shows come and quickly go. It’s a tribute to the show’s brilliantly simple format and simply brilliant personalities. 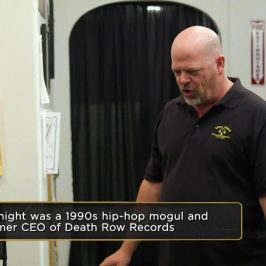 The series is filmed in Las Vegas, Nevada, where it chronicles the daily activities at the now world-famous Gold & Silver Pawn Shop, a 24-hour family business opened back in 1989. The shop was opened by patriarch Richard “Old Man” Harrison and originally operated by the “Old Man” and his son Rick, however since the first episode went to air almost twenty years ago, the “Old Man” and Rick have been joined by Rick’s son Corey “Big Hoss” Harrison, and Corey’s childhood friend, Austin “Chumlee” Russell. Sadly, Richard “Old Man” Harrison passed away last month, so here’s a little bit of a story about the man who opened the most well-known pawn shop on the planet at 713 Las Vegas Boulevard South, less than three kilometres from the Las Vegas Strip. Richard “Old Man” Harrison, founder of the world’s most famous pawn shop, was born Richard Benjamin Harrison Jr. in Danville, Virginia, on March 4, 1941. 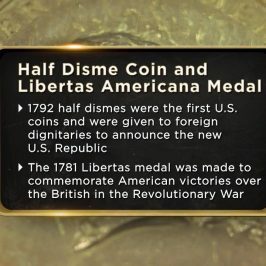 He mentioned once that his grandmother said they are related to Presidents William Henry Harrison and Benjamin Harrison. Richard, in his typical way indicated that he did not give “much credence to this idea”. When Richard was barely a year old, his family moved to North Carolina. Harrison attended Lexington High School but left during his junior year. Harrison’s family was poor, and to make money, Harrison drove a school bus when he was fourteen, parking the bus at his house every night, and getting up early in the morning to pick up the schoolchildren, for which he was paid about five dollars a week. When he was seventeen, Harrison attended a barn dance, where he met his future wife, Joanne They married in 1960. Before they married, however, Richard stole a car, and after he was arrested, was given a choice by the judge to go to prison or the military. Joanne became pregnant with their first child immediately after they married, and Sherry, their first child, was born. They also had three sons, Joseph, Chris and Rick. Richard left the Navy in February ‘62, but re-enlisted fourteen months later to obtain the healthcare benefits necessary to meet his daughter’s ongoing medical expenses. Sadly, Sherry died when she was only six years old. Harrison ultimately served in the U.S. Navy for 20 years, including stints as a paymaster, and attaining one of the highest ranks for an enlisted man, petty officer first class. Harrison served on four ships, including his final five years on fleet tug ATF 100 USS Chowanoc, from 1972 to 1976 in the Western Pacific and Vietnam. After Richard was discharged from the Navy, he worked part-time in his wife’s real estate office. Declining real estate sales caused by massively high interest rates eventually saw the collapse of the business in 1981. With only $5000 left, Richard and Joanne moved with their three boys to Las Vegas, Nevada, where Richard and his son Rick opened the Gold & Silver Coin Shop in a 300 square foot shop on Las Vegas Boulevard. In 1986, he relocated the business to a larger building in Fremont Street and in 1987, he obtained a license to buy and sell second-hand goods. Two years later, in 1989 they opened what would become the setting for this iconic show, the Gold & Silver Pawn Shop. 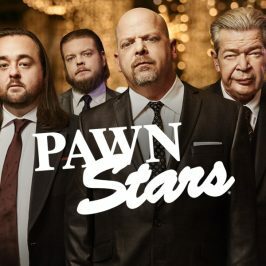 Since going to air in 2009, Pawn Stars has been one of the highest rating reality shows on television and within weeks of the show’s debut customers at the shop went from around seventy a day to around seven hundred. By February 2012, between 3,000 and 5,000 people visited the store each day. 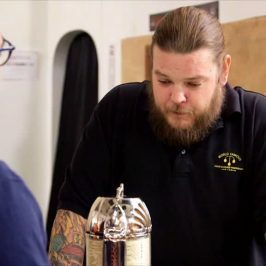 The series depicts the staff’s interactions with customers, who bring in a variety of artefacts to sell or pawn, and who are shown haggling over the price and discussing its historical background, with a humorous and often scholarly narration provided by either the Harrisons, “Chumlee” or one of their many on-call experts and appraisers. In the 500th episode of PAWN STARS, Rick Harrison celebrates by spending some capital in the nation’s capital. First up is a set of silver spoons made by American patriot (and silversmith) Paul Revere. Can Rick cut a deal for this tableware made by one of the United States’ founding fathers? 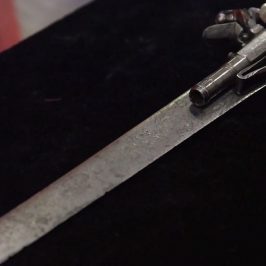 Harrison men clash with friendly camaraderie over items from classic cars to samurai swords. Here, everything has a history, and everything has a price. And you never know what’s going to walk through the door.